Students have lunch at Skyline High School in Oakland. Researchers and language experts have long criticized the subjectivity and variations in criteria that California districts have used to determine when English learners are proficient in English. But proposed legislation to create uniform, statewide standards for doing so has hit a snag, with some of the nation’s leading academic experts expressing strong opposition to the bill. Rather than fix inconsistency in how districts reclassify English learners, Senate Bill 463 “risks exacerbating the state’s long-term English learner problem,” 28 researchers and academicians wrote in an April 28 letter to California Senate leaders and the administration of Gov. Jerry Brown. 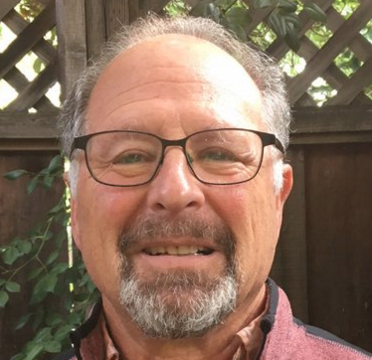 Lead signers were California’s noted experts on English learners: Robert Linquanti, a project director on English learners at the San Francisco research agency WestEd, and Kenji Hakuta, a linguistics professor emeritus at the Stanford University Graduate School of Education. Federal law requires that states standardize how to determine when English learners are English proficient, no longer qualifying for extra English language services. The rift is over the criteria that would be used and the role of districts and teachers in making the judgment. The timing is important. California is switching to a new test measuring English learners’ fluency, and researchers believe the results on the test should be the predominant factor in deciding proficiency. Current state law sets a minimum of four factors in deciding English learners’ proficiency, but gives districts wide discretion and the ability to add other factors. A 2014 study by the Public Policy Institute of California found that 90 percent of districts were adopting more rigorous requirements than the State Board of Education had recommended, resulting in a slower reclassification rate for many of the state’s more than 1.3 million English learners. About 1 in 10 English learners are reclassified each year, with lower rates for Spanish speakers and low-income students, according to an analysis of the bill. Holding back English learners unnecessarily “can impede access to educational opportunities,” the researchers state in their letter, particularly in high school. Fewer long-term English learners graduate from high school and fewer are on track to graduate ready for college. SB 463, authored by Sen. Ricardo Lara, D-Bell Gardens, would adopt the four current state criteria used for reclassification: performance on the state assessment of English language proficiency; evaluation by teachers; consultation with parents; and the mastery of basic skills as measured by comparable scores of English-only students on a standardized English language arts test that all students take annually. That currently is the Smarter Balanced assessment. Under the bill, the State Board of Education would consult with experts to set scores on the fluency assessment for English learners and on the Smarter Balanced test that would qualify students for reclassification. But local districts could override the scores if teachers concluded that students weren’t academically ready. The Senate Education Committee voted unanimously in favor of the bill, which is now in the Senate Appropriations Committee and must still be heard by the Assembly. Linquanti said the bill runs contrary to extensive research that recommends against using a test like Smarter Balanced. That test measures curriculum content and skills like analyzing a thesis statement; it wasn’t designed to measure language fluency, he said. Lara’s bill doesn’t suggest a score on Smarter Balanced that would qualify an English learner for reclassification, but Linquanti noted that only half of English-only speakers scored proficient last year. Teachers should be consulted, he said, but he worries about subjectivity. In the past, teachers have based their decisions on behavior or grades – inappropriate criteria, he said. Teachers statewide should be trained to use “standardized protocols” to ensure consistency, he said. Linquanti and other researchers are setting high expectations for the state’s new English language fluency test, the English Language Proficiency Assessments for California or ELPAC, which will replace the California English Language Development Test. ELPAC is going through a field test this spring and will go into effect in July 2018. It will initially be given to kindergartners to identify English learners and then administered annually to English learners to measure their progress toward proficiency. Linquanti said that, unlike the current test, ELPAC will reflect the challenges of the Common Core standards and is expected to be a more rigorous test. With two years of student test data in hand, state experts will set a score signifying proficiency, the level at which English learners will have an “equal chance” at successfully performing academically as English-only students. That score, he said, should be the primary factor in reclassifying English learners. But Shelly Spiegel-Coleman, executive director of Californians Together, a coalition of organizations that advocate for English learners, said it is premature to conclude that ELPAC will be a better test. Her organization backs the bill, with the multiple factors determining reclassification, including the use of the Smarter Balanced test. Students who test English proficient may still need help with writing skills and with academic language, she said. She supports providing teachers with training to help English learners in their specialized areas, but that wouldn’t happen with premature reclassification, she said. 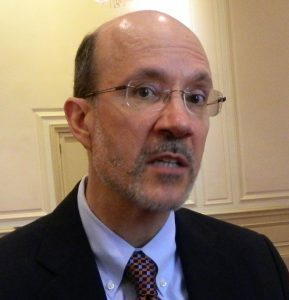 “Districts would be let off the hook” from giving the trainings, Spiegel-Coleman said. And she said she is worried about cutting out the role of teachers, who are in the best position to determine students’ weaknesses. “There has to be place for them to give input,” she said. The Association of California School Administrators supports the bill if amended. Lobbyist Martha Alvarez said the association agrees with researchers that a test should measure linguistic acquisition, as ELPAC will, not content knowledge. And teachers’ judgment should be on curriculum mastery and exclude other factors like grades. She agreed with Spiegel-Coleman that the bill would be a big step toward creating consistency for reclassification across districts. In a statement, Lara said that, moving forward, he is willing to work with researchers and district administrators on the bill. But he said he’s not content to wait for several years in order to gather results on the ELPAC. Hello. I have been a Bilingual Educator for 45 years, teaching in both bilingual and SEI settings, high school ELD and adult ESL. I am glad that there is such an extensive dialogue taking place around the topic of the reclassification of English learners. Both sides make excellent points. I have received training about the new ELPAC exam and yes, it does correlate well with the ELA Common Core Standards. It is, indeed, far more rigorous than the previous CELDT. For the last 10 years, I have worked as the Program Assistant of our Registration, Assessment and Placement (RAP) Center in West Contra Costa Unified School District. To be honest with you, I don’t believe it is fair to blame the existence of long-term English learners to the assessments being used. Nor, do I find teacher input all that helpful (at least in our district) in determining if a student is ready for reclassification. The factors that do come into play when students do not reclassify are the lack of consistency in the teaching of ELD; the lack of linguistic knowledge and background for teachers to know how English Language Development lessons should look very different than a general English language arts lesson and a lack of a monitoring system to intently look at a student’s progress from TK to 2nd grade (a pivotal age for transitioning from learning to read to reading to learn). In our district we have seen an increase in the number of students being reclassified year after year. Whereas we cannot eliminate the impact a teacher can make in student’s academic progress, I attribute the increase more to the commitment in our office to inform parents about the reclassification process to provide them with the pertinent questions to ask at a parent-teacher conference and by forming their schools ELAC committees that allows them the opportunity to take part in reviewing the quality of the programs designed for English learners at their child’s school. The question that seems to be lacking in the article regarding this subject is: Are we providing the quality English Language Development program and using the appropriate multiple measures to ensure that the student being reclassified sustain their academic gains that will propel them to continue thriving throughout the remainder of their academic career? We need to have high enough expectations that the student is not under the false impression that once they jump through the hoop of reclassification, that it will be enough for them to succeed in a college/university or short career path. I firmly believe that we must provide an academic measure to see that our EL students are performing near, at or above grade level compared to their native English-speaking peers. When we used the California Standards Test (CST) years back, our cut-off was at Mid-Basic (student had to score 325 or above). Many R-FEP eligible students scored well above that cut-off. We conducted a study as to how these same R-FEP students faired on the California High School Exit Exam, which was in place at that time. 86% of our reclassified students, passed the ELA portion of the CAHSEE the first time they took it as 10th graders, regardless of when they reclassified (3rd, 6th, or 9th grade). As a Mexican-American (Chicana/Latina) who went through traditional schooling from 1957 to 1969 before entering college to become a teacher, I know what it is like to struggle as an English learner. I also know what it is like to recognize when a teacher had low expectations or became very surprised when I mastered content as well or better than native-English speakers. I was fortunate enough to know that I wanted to be a teacher at a very young age. I was 11 years old when my younger fraternal twin brothers would be entering kindergarten. The summer before, we would use an old shack that was on the ranch where my parents worked as farm laborers, to teach them how to write their name, the alphabet and numbers 1-20. So, when I read the article about this debate, I can see both sides, but let’s get down to the heart of the issue: We need quality instructional programs that value the benefit of learning in two languages because we know that students who participate in Dual Language Immersion programs score much higher on state-mandated tests and are prepared to take college entrance exams without much difficulty. Also, the professional development provided teachers must be aimed at dealing with the social-emotional health of the child implementing growth mindset, community building in the classroom and helping students believe in themselves. Unfortunately in many school districts, the needs of English learners are looked at as a “side-job” in their teaching; something they must consider, but not really put that much effort into because they have so many other responsibilities in learning all about the Common Core, SBAC etc. English learners become an “afterthought” once a decision is made about adopting X reading and language arts program. It is after the fact, that we try and figure out how we can adapt the content into ELD teaching. I don’t think that is the most effective way to go about fixing the problem. It is like doing surgery on the knee to fix a problem with the heart. I will be retiring most likely in another year, but I urge researchers, educators, school board members, superintendents and administrators to try and truly understand how to address the needs of English learners. All levels of educators must have the background necessary to understand how the bilingual brain works (no matter how limited the student may be in the home language, the exposure to another language creates the potential for transference of the grammatical structure and phrasing in one language to English, making their spoken and written English seem awkward and difficult to understand). Let’s continue having high expectations for all students. But, as a former English learner who still struggles at times in writing due to the way my bilingual brain functions, I hope this issue is resolved and that the guidelines for reclassification take into account a grade level, standardized assessment in English language arts to optimize the student’s academic performance “after” reclassification. 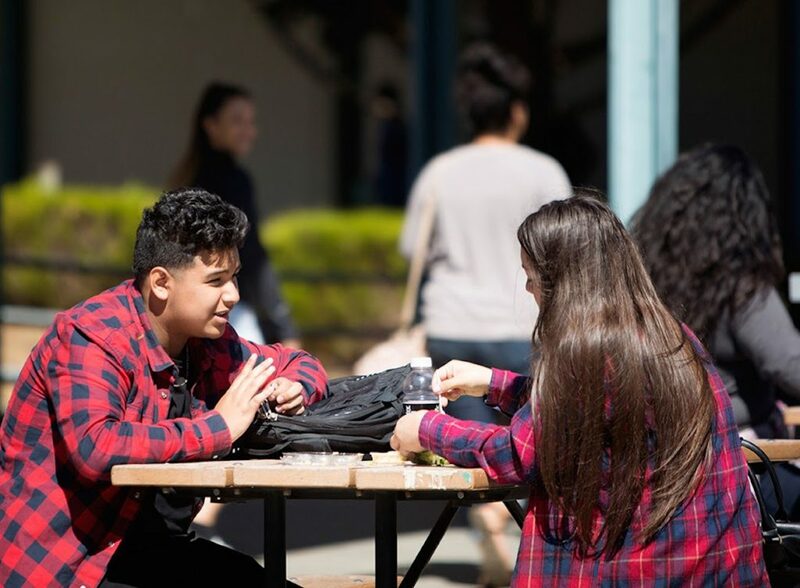 Because there is a life after reclassification for these students in which they will face more academic challenges, higher expectations both self-imposed and required for the future they see for themselves. Take it from this old-timer who has seen it all. I’m tired of remaining quiet about the institutional racism that exists within our educational system. Maybe it is different in other places, but on the whole I have seen decisions made without consideration for this one-third of our student population which is also targeted under the LCFF/LCAP guidelines. It seems as though they cannot see the tree for the forest. Let’s not allow English learners to be that tree in the forest. The special circumstances for English Language Learners necessitates bilingual programs, so that the ELL’s can progress academically in their primary language on the way to proficiency in English. Concepts learned in the primary language can be readily learned in the second language. 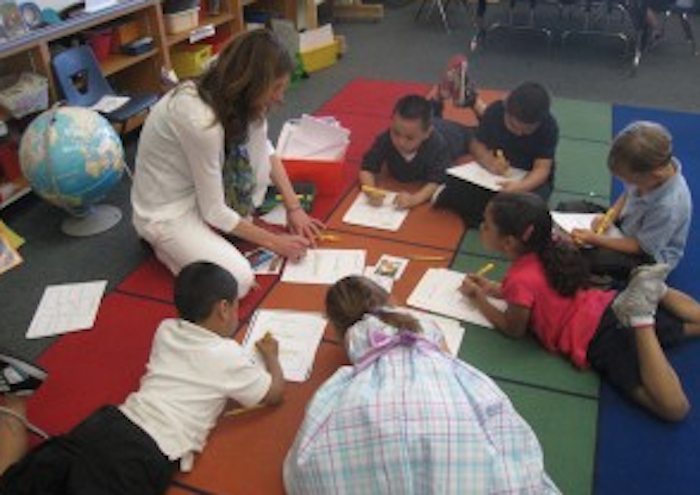 Check out the long-time successes in bilingual education programs in the Baldwin Park USD. Reclassification for English Language Learners is a very complex matter. Once reclassified, assuming it has been done well, does not mean that support services are no longer needed. The curriculum in academic English is progressively more difficult to handle, particularly the nuances of terminology. All too often this scenario is ignored! I agree with Shelly that access to core instructional content rests with schools and districts, not with reclassification criteria. I fear that using only one academic metric–an English language proficiency test–to make that determination is unwise. I do agree that using Smarter Balanced as that metric is flawed because it is only administered to some grade levels and could potentially keep students with the EL status beyond the point at which they still need language support and in districts where students’ access to content instruction is determined by their language status, this could be detrimental. But because of the pause in CA’s accountability system, most districts in CA have adopted local assessments that are standards based and administered to all students. The results of these assessments could serve as academic measures for students who do not take Smarter Balanced assessments. If we consider that reclassification means that the student can meaningfully benefit from general education instruction without additional language supports, and we are going to make that determination using only a language proficiency assessment, that assessment has to be a powerful predictor of future success in mainstream English language arts classes. Oh me of little faith! I think the ELPAC needs to be better road tested before we remove other objective academic criteria from the multiple measures used to determine if a student has the linguistic skills to be successful in mainstream instruction. We are at a critical juncture in California for a English language learners. As we move forward to establish reclassification guidelines applied throughout the state, we need to be very careful. If we develop guidelines that are two rigorous, then we will have students who are unable to be reclassified. If this happens, the number of Long-Term English Language Learners will skyrocket. We also need to be cautious and make sure that the guidelines are not too low. If guidelines are established at too low a level, students will be reclassified too quickly, and important supports will be withdrawn. The researchers are worried about the denial of accessibility to a full curriculum for students who have not been reclassified. This is a district or school policy issue not the result of reclassification. We agree students who have been English Learners for several years need to be enrolled in courses leading to graduation and college. There are many schools and districts where students whether reclassified or not have access to all subjects required for graduation. Teachers in these courses need specialized professional development and supports to accelerate language and content knowledge. Reclassifying means English Learners need no more services. Without knowing if the ELPAC will test for academic proficiency, since it has not been administered yet, eliminating an academic measure will deny students of the support they need and teachers of the professional development and support they need to meet the needs of English learners. The other thing I’d like to see recognized is that truly a student who is reclassified still probably needs some additional support, given that the parents are not fluent in English and are probably do not have skills in college applications and college readiness that other families have. A student who was ever classified as an English language learner is probably in need of some additional access to counseling support and tutoring and translation services in high school that students with English fluent parents don’t need. As the bill stands right now, it will hurt high school districts. High school districts only have scores for 11th graders. Thus, what would be used for reclassification with 9th, 10th and 12th grade students if they were not reclassified prior to high school? There is an additional practical problem with SB 463. While the new ELPAC is advertised by CDE as “operational” as of the spring 2018 test administration, achievement standards (or cut scores) to determine how the test will be scored cannot validly be set until late summer or fall 2018, based on the spring 2018 ELPAC raw data. SB 463 requires ELPAC scores to be used for EL reclassifications for the 2018-19 school year, but that is problematic if ELPAC scores are not available until late fall or winter 2018.